It is time for a change or as we say at Bender it is time for the „big switch". We are proud to introduce our „Information Tuesday“ that will accompany you for the following weeks. It is time for a change or as we say at Bender it is time for the „big switch". An unearthed system is unjustly underrated and deserves more attention. 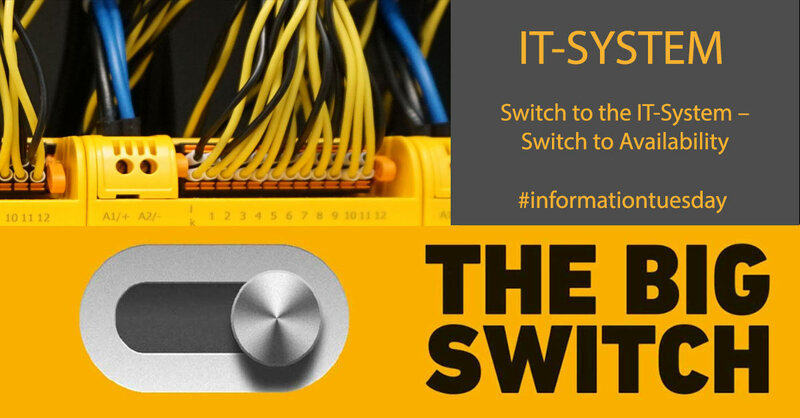 It is called „IT System“ and should not be confused with „IT“ – „Information Technology“ which is probably the first association you might have. We are proud to introduce our „Information Tuesday“ that will accompany you for the following weeks. From now on, you will find a post about the IT system every Tuesday in our news. The aim is to give you a broader background and a better understanding of the IT system, for instance, in which industries it can be applied and how it can help your company to increase electrical safety and save money in the long run. We would like to help you decide what electrical system is the best option for you for future projects. So please stay tuned on our "Information Tuesday" - every Tuesday on our website. Follow us on Facebook, Linkedin or XING and stay updated every week!